O. M. McPherson (Orlando M.) Indians of North Carolina: Letter from the Secretary of the Interior, Transmitting, in Response to a Senate Resolution of June 30, 1914, a Report on the Condition and Tribal Rights of the Indians of Robeson and Adjoining Counties of North Carolina. Indians of North Carolina: Letter from the Secretary of the Interior, Transmitting, in Response to a Senate Resolution of June 30, 1914, a Report on the Condition and Tribal Rights of the Indians of Robeson and Adjoining Counties of North Carolina. Washington: [U.S. Government Printing Office], 1915. Cherokee Indians -- North Carolina. Indians of North America -- Legal status, laws, etc. -- North Carolina. Indians of North America -- North Carolina -- Ethnic identity. 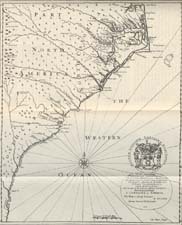 Indians of North America -- North Carolina -- History. Indians of North America -- North Carolina -- Robeson County -- History. Indians of North America -- North Carolina. Lumbee Indians -- North Carolina.